The city’s chief crane inspector was arrested on Friday and charged with taking bribes to allow cranes to pass inspection, the authorities said. He was also accused of taking money from a crane company that sought to ensure that its employees would pass the required licensing exam. The man, James Delayo, 60, the acting chief inspector for the Cranes and Derricks Unit at the city’s Department of Buildings, oversaw the issuing of city licenses for crane operators. The case against him, announced by the Manhattan district attorney’s office and the city’s Department of Investigation, was filed just a week after the city’s second fatal crane collapse in less than three months. Read More. 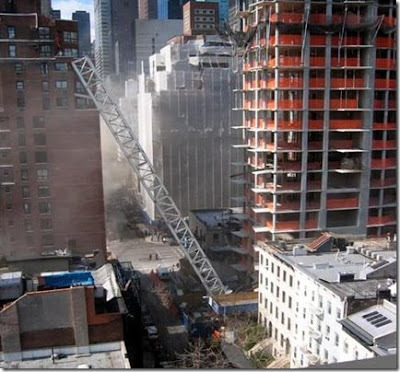 The New York Construction Accident Lawyers at Gair, Gair, Conason, Rubinowitz, Bloom, Hershenhorn, Steigman & Mackauf have over 40 years of experience representing people injured or killed in Construction Accidents and Crane Accidents.